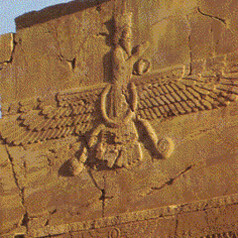 The history of Zoroastrianism began during the Bronze Age, when, as scholars now estimate, the Prophet Zarathushtra first revealed and taught “the Good Religion.” In about 1750 BCE, Zarathushtra brought his message of ethical monotheism to ancient Persia and Central Asia; while he drew a small group of dedicated men and women, he also met with great resistance from local priests and princes. According to legend, Zarathushtra was invited to present his teachings before King Vishtasp, who became one of the first of many rulers in Central Asia to embrace this new and revolutionary faith. Zoroastrianism gradually gained wider acceptance, becoming the religion of the Achaemenian Empire (550–330 BCE) founded by Cyrus the Great. The Achaemenians established the first “universal empire” across linguistic and cultural frontiers, practicing religious and ethnic tolerance for their subjects. The Achaemenians were defeated by Alexander the Great in 330 BCE, and the city of Persepolis, along with its library of religious texts, was destroyed by fire. After nearly a century of Greek rule under the Seleucids, the Parthians (256 BCE–226 CE) came to power and ruled in ancient Iran for many centuries. The Sassanian Empire (226–652 CE) succeeded that of the Parthians and during the next four hundred years, the Sassanian kings established Zoroastrianism as the state religion of Iran. This was the “golden age” of Zoroastrianism, with as many as thirty million people practicing the faith. The liturgy of the Avesta was collected into a cohesive unit, and new literature in the Pahlavi language flourished. In 652 CE, the Sassanian Empire was defeated by Arab Muslims. The majority of Zoroastrians accepted Islam; others continued to practice their faith quietly and were often persecuted. A few shiploads of Zoroastrians, many from the Iranian region of Pars, fled to India. These refugees, who would later be known as “Parsis,” first began arriving in 936 to Sanjan, Gujarat, on the Indian subcontinent. Thus began the parallel development of two distinct communities of Zoroastrians: the Iranians and the Parsis. Modern-day Parsis recount a folktale of the Zoroastrian arrival in India, their ships arriving in Sanjan and being met by the local raja, or king. Lacking a common language, the raja presented the refugees with a full glass of milk, indicating that there was no place for them. The Zoroastrians responded by adding a spoonful of sugar to the milk, demonstrating that they would blend into their surroundings and sweeten the proverbial glass of milk without causing it to overflow. 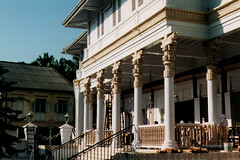 Ultimately, the Zoroastrians were allowed to settle in India with some provisions: first, the mobeds, or priests, were to explain their religion to the raja; at the raja’s request, marriages were to be performed after sunset for discretion; the immigrants were to speak the local language; and the women were to wear the sari. The result was the development of a distinct Parsi community, characterized by “selective assimilation” and by its creative contributions to an adopted homeland. 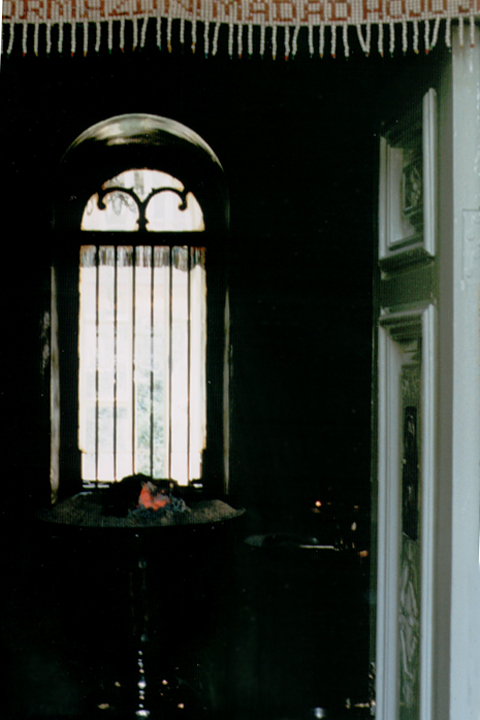 While many Iranian fire temples were being converted into mosques, the Parsis began to establish fire temples, or agiaries, in the Indian subcontinent. Absence of intermarriage and a low birthrate kept the community small, but their contributions to the area were considerable, and the small religious community enjoyed great economic success. The Parsi community flourished under British rule; by the early 1800s, although fewer than 10,000 Parsis lived in Bombay, they owned more companies than either the Hindus or the Europeans. They were also known for their emphasis on education and charity, which included the establishment of schools for girls. While the Parsis prospered, Iranian Zoroastrians faced considerable adversity and religious persecution, which varied under different dynasties. In the Umayyad dynasty, personal rights could be obtained with the payment of jizya, a special tax for non-Muslims, while during the Qajar dynasty, repression of the Zoroastrian religion took on cruel and violent forms. The life of Zoroastrians in Iran was often characterized by humiliation—with rules preventing them from riding on horseback, building places of worship, receiving an inheritance, or even from carrying umbrellas or wearing eyeglasses. That Zoroastrians survived in the face of centuries of poverty, adversity, and brutality is a testimony to the persistence of their faith. With greater freedoms in the 20th century, Zoroastrians were able to establish themselves in business, industry, the educational field, and philanthropy, much like their Parsi co-religionists. Over the centuries, there was only limited contact between the Zoroastrian communities of India and Iran, with treatises on religious questions being exchanged from the late 1400s to the late 1700s. In the 19th century, the Parsis initiated efforts to assist the Iranian Zoroastrians, the most famous of which was the “Society for the Amelioration of the Conditions of the Zoroastrians.” From the late 19th century to the present, some Iranians began immigrating in small numbers to India to join their co-religionists in a more hospitable environment. For the most part, however, the two communities—separated geographically, culturally, and linguistically for centuries—developed distinct ritual practices and began following different liturgical/religious calendars. Within the last sixty years, the Zoroastrian Diaspora has become global. After independence and partition of the Indian subcontinent in 1947 that brought declining opportunities in the new divided nations, the Parsi exodus began. Many Parsis, in search of economic and educational opportunities, settled in the land of the former colonial power, Great Britain; smaller numbers began migrating to North America and other parts of the world. Iranian Zoroastrians began emigrating after the Islamic Revolution in 1979, with the majority coming to North America. Today, although they number less than 200,000, Zoroastrians are dispersed throughout the world. Communities continue to survive in Iran and India while some of the peoples of the former Russian republics are beginning to reclaim their Zoroastrian heritage. Worldwide, the Zoroastrians of the Diaspora are actively engaged in establishing their distinct religious identity in new homelands, from the South Pacific to North America.